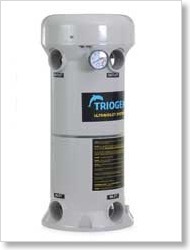 In its mission to bring the best possible pool and spa experience to homeowners, Golden Coast is drawing the industry’s attention to an expanded range of cost-effective ozone and UV water treatment systems from Triogen. UV irradiation and ozone treatment have proved to be very effective in killing algae and other undesirable organisms, including a number of infectious species which are resistant to chlorine. 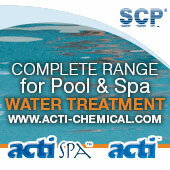 As well as disinfecting, they improve water clarity and leave no residual by-products. UV is particularly powerful in destroying chloramines, which are often blamed for unpleasant pool odour and for irritation of the eyes and skin. Energy-efficient, low pressure UV lamps provide the necessary ‘killing power’ in Triogen’s TR2 range of disinfection systems. Lifetime operating costs are low, thanks to a robust, hardwearing, low-maintenance construction, with a reactor body made from UV-inhibited, corrosion-proof polymeric materials. The lifespan of the UV lamps themselves is typically 18 months. 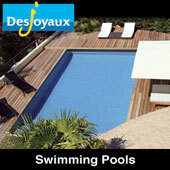 Other cost-saving features include an automatic shutdown to conserve power in the absence of flow. Installation is inexpensive, as the compact TR2 units are quick and easy to fit. Each TR2 system is supplied complete with union adapters, a pressure gauge and a flow switch, ready for simple connection to a suitably protected power supply. Different-sized models are available to suit flow rates of between 11 and 40 cubic metres per hour. They are equipped with between one and four lamp bulbs, producing an irradiation dose of 30 mJ per square centimetre. 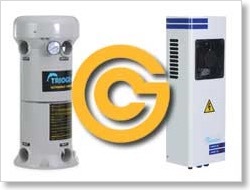 Golden Coast’s exclusive UK distribution agreement with Triogen includes both its ozone and its UV treatment systems. 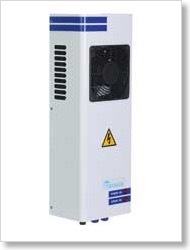 Specifically developed for private and hotel-sized swimming pools, the Compact Corona range generates ozone with great efficiency and is designed to operate without parts replacement for between 10 and 15 years. Innovative features include advanced frequency inverters and a ceramic Corona discharge unit which reduces build-up of nitric acid. The systems operate under a vacuum, to prevent any ozone leakage, and are supplied with degassers and all other necessary components. Simple and economical installation, minimal plant room space requirements and easy operation are further advantages.